 Shanti, whose name means “Peace” in Sanskrit, came to IPPL from the Laboratory for Experimental Medicine and Surgery in Primates (LEMSIP) in New York in February of 1983 as a potential mate for IPPL’s very first rescued lab gibbon, Arun Rangsi. Shirley and a former animal caregiver drove to New York to collect Shanti, who was living alone in a small cage. Nearby were her elderly parents, Blackie and Penny, whom Shirley resolved to see one day at IPPL as well. She was persistent and they were sent to us in 1984! 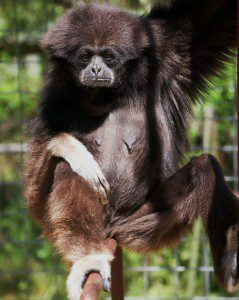 Shanti has a very laid-back disposition and has successfully raised many lovely young gibbons here at IPPL. She has always trusted our animal caregivers and allowed them to observe her babies and check their health regularly. Now that her children have grown up and moved away to other parts of the property, Shanti has lots of time to spend with Arun Rangsi. Even after all this time they rarely leave each other’s side and will even share food. But while Arun Rangsi is quite content to just observe the staff, Shanti is always looking for someone to scratch her back or rub her feet. After spending so many years caring for her children, it’s now her turn to be doted on and Shanti enjoys every minute of it.